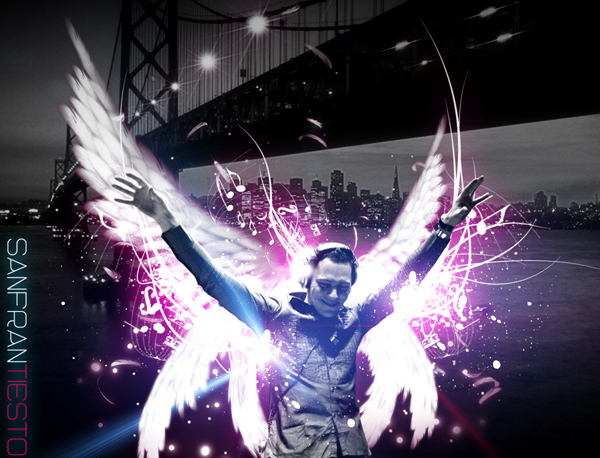 As humorous as that picture above is, Tiesto is the big daddy of electronic music. Although he is the face of popular trance, he is now delving into producing h-h-h-HOUSE music. This isn't a sudden transformation, if you guys heard his most recent album, Kaleidoscope, it was crammed full with fat bass and poppy, club sounds. It's not that trance is dead, it's just less popular....and King T, who likes to stay #1 on the charts, knows this and is adapting to his surroundings. I don't necessarily like Katy Perry's music but her voice works well with electronic music. A FAT collaboration between Tiesto and Hardwell, this is today's MUST-HARVEST-B33T! Big room sound that'll have jaws hitting the floor. Go wild! Not too fond of this track but I thought I'd include it anyways. You be the judge. Recently, A lot of people have been asking me "where did your blog go?"